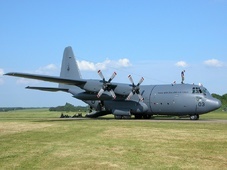 The RNZAF Lockheed C-130 transport plane departed Baghdad International Airport (ORBI), Iraq, for Al Minhad Airport (OMDM), the United Arab Emirates. The aircraft was under the control of Al Maktoum Radar when the Air Traffic Control Officer (ATCO) instructed the aircraft to descend to 3,000 feet, followed by a clearance to descend to 2,000 feet. When the aircraft was subsequently vectored to a heading of 030 it had just cleared a sector with a radar minimum sector altitude (RMA) of 2,000 feet. After turning to heading 030, the aircraft entered a sector with an RMA of 2,800 feet to capture the ILS for runway 09 as instructed. Entering this sector triggered a brief automatic minimum safe altitude warning on the ATC monitor. Another brief automatic LOW warning was triggered prior to becoming established on the ILS localizer for runway 09. The aircraft landed safely without further incident.